Beings on another another planet are awesome. But what about the search for those beings itself? For me the search itself is just as important as the day we communicate with extraterrestrials. As part of the search we see people do what they do best – find themselves in the universe around them. It’s a human trait. Take the image in this blog, for example. Do you see the face right in the center? Looks like a sculpture of some indian deity’s head sitting on the sand. As if that deity lived on the planet where the statue is found for a thousand years. And if you look closely you might see the outline of a hand sticking out of the sand – just below and to the left of the face. Is it a statue, or just our brain interpreting shadows as sculpture of some human looking face? Is this a new face on Mars? You decide. As for myself … I enjoy not knowing for sure. 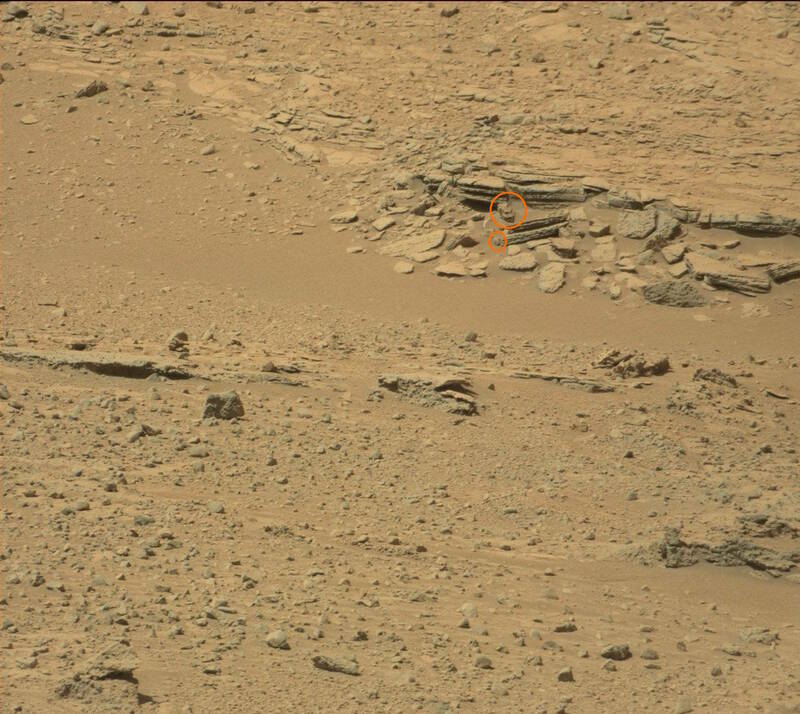 Here’s the same image annotated … the larger circle is the head of course. The smaller circle surrounds what looks like a sculpted hand. Tags: face, Mars. Bookmark the permalink. Previous post ← Eclipse can be so BLONDE sometimes.